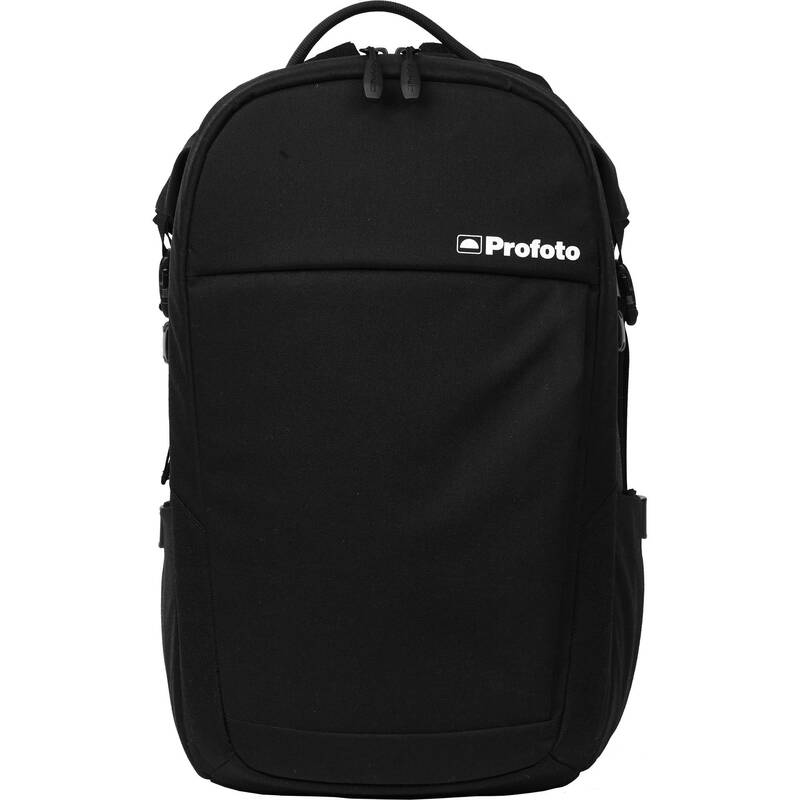 Made of durable outer Kodra fabric with dual weatherproof coating, the Core Backpack S from Profoto is designed to protect and transport two B10 OCF Flash Heads and accessories on the road. The backpack features a modular design with a padded main compartment with back access and adjustable dividers. The Core Backpack S has a front compartment with dedicated 15" laptop and tablet sleeves, multiple internal organizer pockets, as well as two external side pockets for stands and tripods. Top and side handles are integrated, as is a pass-through trolley handle sleeve for a wheeled transport option. Box Dimensions (LxWxH) 17.7 x 11.6 x 7.8"